Product Update ? ? ? We’ve incorporated Waydev, Inc. on 15 March 2017 and since then we’ve updated with 6 versions of Waydev. 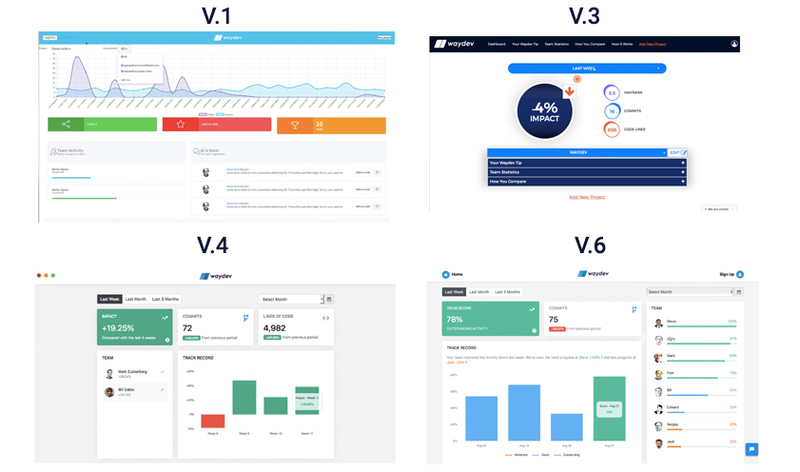 Today, we’re happy to push our 7th update, one of the best version for helping non-technical managers understand their developers and increase their productivity. The last version was focused on showcasing more historical data, now we updated the UI to focus more on your developers’ stats. Commits/Day – This metric shows how many times a developer checked in code, on an active day. We’ve improved the accuracy & changed the representation of our core metric – Activity Score, from a percentage mode to activity points – these are from 0 to 100. From 0 -20% the activity is moderate, 20% – 50% the activity is good and from 50% – 99% the activity is outstanding. We’ve launched the integration with Gitlab. We’re working hard to launch our iOS and Android apps and also the integration with Slack.